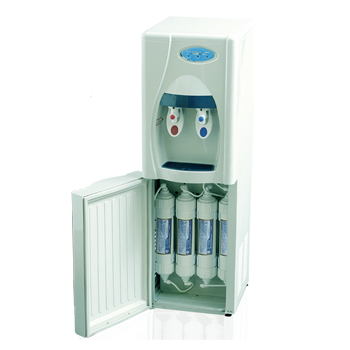 Full size, retro looking Hybrid Bottle-less Water Cooler with Ultrafiltration System by CRYSTAL QUEST is an advance, attractive and durable filtration system with 9 stages of water filtration. 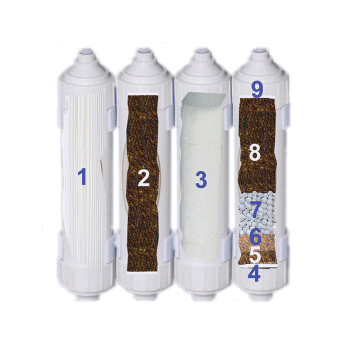 It is the perfect way to enjoy clean, crisp filtered water without the hassle of dealing with heavy plastic bottles and delivery schedules. 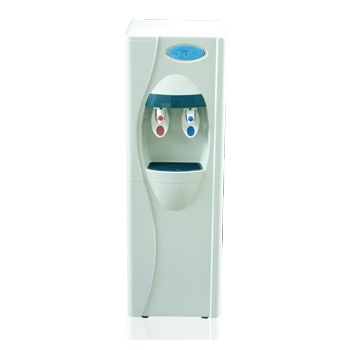 This water cooler is capable of providing an office of up to 30 people with a continuous supply of pure drinking water. 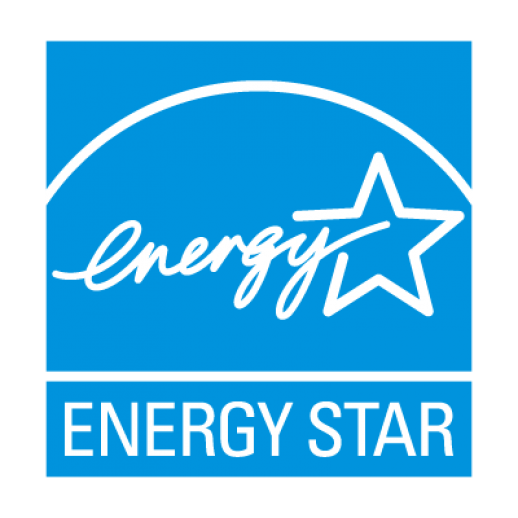 With water traveling through filters into the water tower, and then into cold and hot water reservoirs, you will be able to drink filtered water immediately even if water tanks are drained. Save money, space and time with your own bottle-less water cooling system. 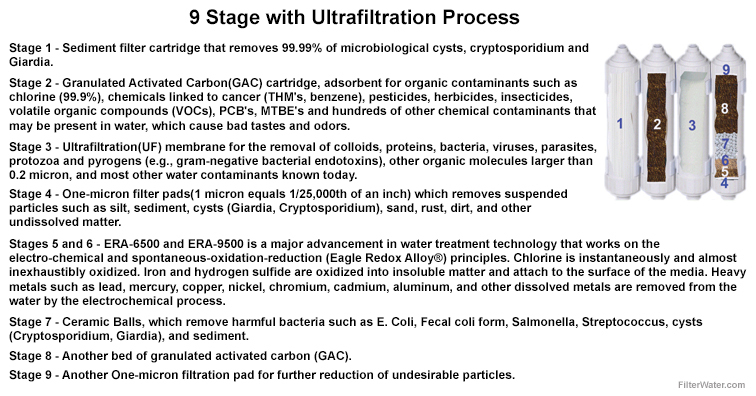 Enjoy filtered water 24 hours a day! Installs easily! 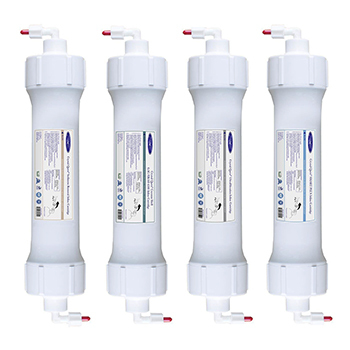 Plumbs directly to your cold water line for a continuous water supply. 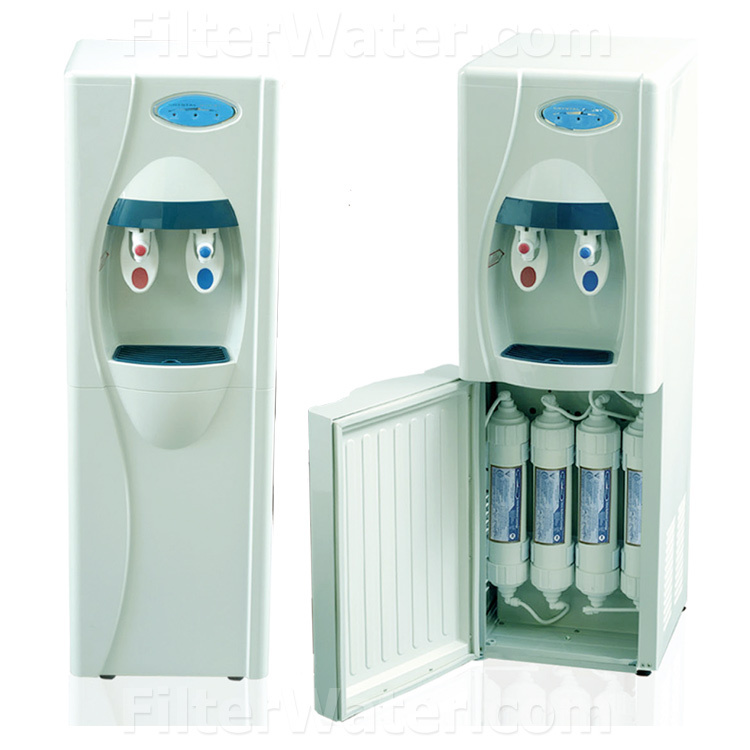 Bottle-less (point-of-use, POU) water coolers can be used in homes and offices to filter tap water and get best quality drinking water for pennies per day! Lowest Price Delivered! * Each unit undergoes a thorough 72-hour manufacturer test before being shipped to you. Manufacturer's Warranty: 1 year for the complete system. 3 years on compressor.